There are 2 types of commitments that people should make when they are looking to get married; Commitment to the concept of marriage and commitment to the marriage itself. One should follow the other. If a person does not have a commitment to the concept of marriage they will most likely not be committed to the marriage when it happens. In Islam both are equally important and encouraged immensely. 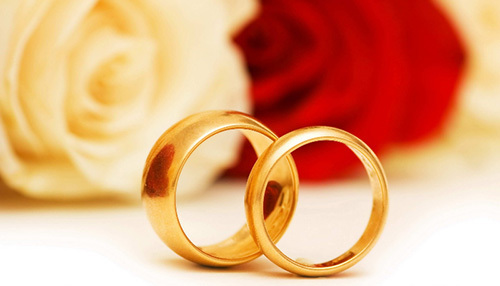 Much has been said about the commitment to marriage so here I will talk about commitment to the concept of marriage. This commitment obviously comes before one is married and at the time they are looking for a potential spouse. Make sure that all your plans that include finding your perfect match are in accordance with the protocol of Islam, which you should follow. People have different ways in which they look for a good spouse. Some ask their families around, some ask their friends, others ask agents or as we call them “rishta aunties” and some also join matrimonial websites. Whatever your source for finding the right person for yourself, remember that you must be committed to the intention. Do NOT lead people on, do not just intend to bid your time or “time pass” as they call it because that is absolutely unjust or unfair. Only visit the girl’s family or the boy’s family if your intention is to do nikah in the right way. If you have no plans to settle down then stay away from all those sources mentioned above because if you start a process to get married once then you have to be committed to it. Similarly if you are not ready financially or emotionally then don’t go through rishta aunties , who will invariably put you in touch with potential spouses and it would be unjust if you back out then. Lots of people break hearts just because they want to test waters and find out what being in a relationship. However this is a recipe for disaster as such actions lead to attachments outside the Islamic boundaries. So make sure you use your time wisely, don’t waste someone else’s time if you yourself are not serious. And only when you are ready for the commitment towards the concept of marriage should you start looking for a spouse. May Allah make your future a blessed one with your spouse.